The Ethiopian government appears to be hardening its position, and is now pressing for full restitution of artefacts seized by the British at the battle of Maqdala in 1868—not long-term loans. 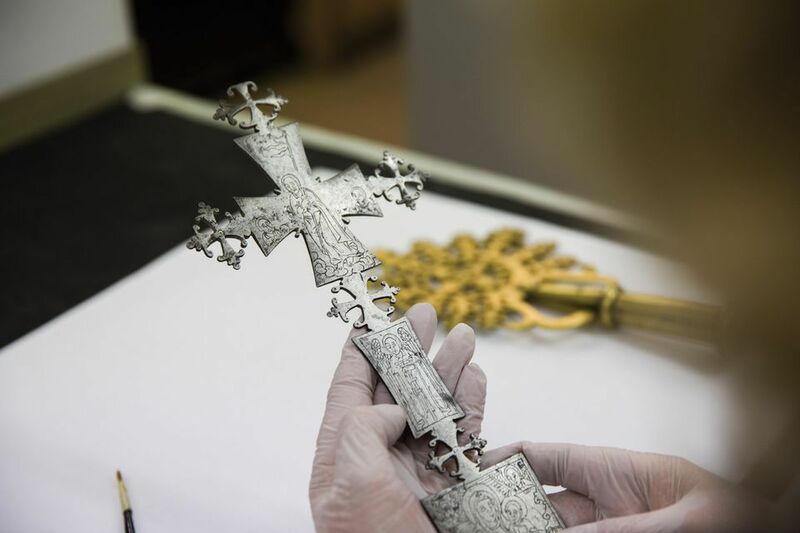 At the opening of the Victoria and Albert Museum’s (V&A) display on 5 April its director, Tristram Hunt, made a clear commitment to return Maqdala objects to Ethiopia on long-term loan. Ethiopia’s ambassador in London, Hailemichael Afework Aberra, was gracious in his response and his warm reply led many in the audience to assume that the loan offer would be seriously considered and taken up. However, in this week's The Art Newspaper podcast, the ambassador makes it clear that his government’s position has not changed since a restitution demand was submitted in 2009. Hailemichael says: “My government is not interested in loans, it is interested in having those objects returned.” This goes for Maqdala objects at other UK institutions, such the British Museum and the British Library. Restitution, however, is impossible in the present situation, since none of these three institutions have legal powers to deaccession. Political developments in Addis Ababa also complicate the situation. Just four days before the V&A opening, a new prime minister was appointed, Abiy Ahmed. The former minister of culture and tourism had been due to speak at the London inauguration, but she did not attend and her successor had not been named. The new minister, appointed yesterday (19 April), is Fozia Amin. Hailemichael now says that he would like government-to-government talks on restitution. He believes that “attitudes change”, and hopes the new V&A display will help raise awareness of the issue. The display is “a good thing”, since until now the Maqdala treasures have been “locked up”.